When is a child’s eligibility for special education and related services determined? In most states the eligibility of a child for special education and related services is considered when a child has arrived at the Tier 3 level of RTI (Response to Intervention). When a child has been in Tier 2 for a pre-determined amount of time and an evaluation is given, then a meeting is called to determine eligibility for special education services. Who makes the decision about whether a child is eligible for special education and related services? The parent of the child and a team of qualified professionals must determine whether the child is a child with a disability and in need of special education and related services. What must the team consider in determining eligibility? 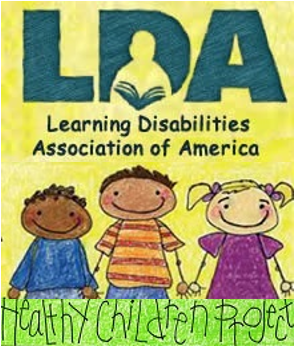 In interpreting evaluation data for the purpose of determining if a child is a child with a disability and in need of special education, each public agency is to draw upon information from a variety of sources, including aptitude and achievement tests (but not restricted to these results), parent input, teacher recommendations, physical condition, social or cultural background, and adaptive behavior. Are there additional procedures for evaluating children and determining the existence of a specific learning disability? The child has a severe discrepancy between achievement and intellectual ability in one or more of the following areas: Oral expression; listening comprehension; written expression; basic reading skill; reading comprehension; mathematics calculation; mathematics reasoning, and/or a presented portfolio, and/or teacher reports on daily work which shows academic performance is not in an acceptable range and the learning processing disability can be seen or it was stated. At least one team member other than the child’s regular teacher shall observe the child’s academic performance in the regular classroom setting. In the case of a child of less than school age or out of school, a team member shall observe the child in an environment appropriate for a child of that age. Whether the child has a specific learning disability. The basis for making the determination. The relevant behavior noted during the observation of the child. The relationship of that behavior to the child’s academic functioning. The educationally relevant medical findings, if any. Whether there is a severe discrepancy between achievement and ability that is not correctable without special education and related services. The determination of the team concerning the effects of environmental, cultural, or economic disadvantage. Each team member shall certify in writing whether the report reflects his or her conclusion. If it does not reflect his or her conclusion, the team member must submit a separate statement presenting his or her conclusions. What are the two components that must be present in order for a child to be eligible for special education and related services? In order for a child to be declared eligible for special education and related services it must be determined that the child is a “child with a disability” and is in need of special education and related services. Who, by reason thereof, needs special education and related services. Is there a non-categorical designation of a child with a disability in addition to the above categories? At the discretion of the State and Local Education Agencies, a “child with a disability,” aged three through nine, may include a child who is experiencing developmental delays, as defined by the State and as measured by appropriate diagnostic instruments and procedures, in one or more of the following areas: physical development, cognitive development, communication development, social or emotional development, or adaptive development, and who, by reason thereof, needs special education and related services. If the state decides to allow eligibility based on developmental delay, local districts will be able to choose whether or not they wish to follow suit. If the state does not adopt the developmental delay category, local districts may not use the category for establishing eligibility for special education and related services. States may not require local districts to adopt and use the term “developmental delay” for any of its students. States and local districts who choose to use the developmental delay category may also use one or more of the specific categories. 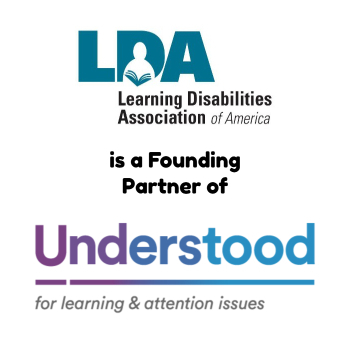 States may adopt a common definition of developmental delay for its programs under IDEA, Parts B and C.
If a local district uses the developmental delay category, it must conform to the state’s definition of developmental delay and the age range adopted by the state. What are possible implications for students with learning disabilities when they are identified as having a developmental delay? 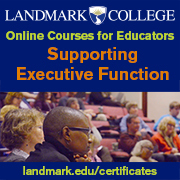 Assessment tools and strategies used gather relevant functional and developmental information. Tests and other evaluation materials used include those tailored to assess specific areas of educational need. Assessment tools and strategies provide relevant information that directly assists persons in determining the education needs of the child. Since States and Local Education Agencies are not mandated to follow a certain course, but can make a choice regarding whether to use “developmental delay” for children aged three to nine, parents need to determine the eligibility criteria used by their State and Local Education Agencies. Contact special education administrators at the State Department of Education or the local school district for this information. Are there other non-categorical designations? Some states have expanded the non-categorical age past the “developmental delay” age span (3 through 9 years) to include students birth through twenty-one years of age. If states use a designation instead of categorical disabilities, certain guidelines must be followed. While the state determines the criteria for eligibility, the team must provide a comprehensive evaluation of the child that could determine a disability as defined by IDEA. In the past I have had several students with dyslexia and was poorly prepared to help them in the regular classroom situation. We all struggled. They did because they did not know how to compensate for the problems they were having and I because I did not have the time to work one on one with them to teach them what to look for or how to deal with reading when it didn’t make sense. I teach middle school and it was through a lot of research on my own time that I learned several tricks to help my students do better in classroom situations. You need to put out the effort and do research. For most students its a try and see method to find something that works for them as individuals. My son, 9, was diagnosed with dyslexia last year and all 2nd grade has been receiving an hour of dyslexia intervention every day. He is making some progress, but not enough, so the school did a SpED evaluation at our request. School officials tell us his dyslexia does not qualify under IDEA as specific learning disability. In order to get him more services (pull-out / resource help), they said he could qualify as Other Health Impairment if he gets a doctor to sign a form saying he has ADHD. Although he is ‘all boy’ he rarely gets in trouble at school and usually when he does it’s for talking without permission once every few weeks. During an observation, the LSSP said that on an afternoon after a field trip and with lots of action in the room, my son was on task 93% of the time. The counselor said that the diagnostician & LSSP might be pushing for OHI, just to get him extra help even though he really doesn’t seem to fit the ADHD profile. Many of the ADHD characteristics his teacher says he has could also be because of his dyslexia (per counselor, LSSP, diagnostician). Can my son qualify for Special Education Services just with the Dyslexia or should I get my dr. to sign the OHI form even though it isn’t clear he actually has ADHD? I’m not opposed to having him diagnosed with ADHD if he actually has it. However, if it is the only way to get him Special Education services I feel like we have to do it. The principal & counselor say that it’s worth getting the diagnosis to see if the resource pull-outs help….. but that’s a heavy diagnosis, just to get help I think he could get already having a dyslexia diagnosis. HELP! I am a Special Education teacher and yes Dyslexia is considered a Specific Learning Disability as stated by the United States Department of Education. Please find the letter from this department in the link provided clarifying this qualification for special education. I hope this will help support your claim for your child. Thank you, Evelyn Miramontes, for the link you provided above! This is such helpful information!! We just had our first triannual IEP meeting for our 11 year old/6th grade middle school daughter and were told she no longer qualifies for an IEP. When asked why, the school psychologist told us her scores on the assessments he gave her are not low enough and her grades are too high to qualify. Our daughter is doing well largely because of the modifications and accommodations that were put into place when she first received her IEP 3 years ago and the Orton Gillingham tutoring we do privately, at home. Our daughter has a diagnosis of dyslexia & ADHD from a pediatric neuropsychologist but that is routinely glossed-over as if dyslexia is a bad word. We reminded said psychologist of our daughter’s diagnosis and he maintained his position that she no longer qualifies. He supported this statement by referring to her reading comprehension scores (which he says are too high and doesn’t qualify her). We informed him that she struggles most and significantly with writing, spelling and math (dysgraphia & dyscalculia) — not so much with comprehension. I am desperately trying to research how to preserve her IEP (we live in CA) so she can continue to succeed in school and more, importantly, so her self esteem and confidence can continue to grow. Hence, how I came across this post and your reply with that amazing link. I would love any other information, resources and/or advice you may have and would be eternally grateful if you would share. In the state of Texas, Dyslexia is not considered part of Special Education. However, you can have an SLD in reading and Dyslexia. That does require a SPED evaluation. Other states include Dyslexia in Special Education, but Texas does not. You could maybe check to see if there are any support Groups for Parents of Struggling Readers or Kids with learning Disabilities. I live in Colorado and we have one in Boulder as well as an awesome Speech, Language and Hearing clinic at the University of Colorado Boulder. I was able to have my son tested through them and finally have some answers. He did not qualify for services in school and ended up getting overlooked. I am thankful that I had him tested. The testing was something I could pay for with my flex-spending health account and they also have a sliding scale and other financial services. Hopefully you have something similar in your state. You could check with your local hospital too. Does the child need to be seen by a medical doctor to determine qualification? For ADD and ADHD, yes, at least in our state, a medical doctor has to diagnose these two disorders. The school can gather data and information and provide a report to give to the doctor to help in his determination but we cannot diagnose a student with attention deficit disorder. Once the sped teacher receives a written diagnosis from the medical doctor, the school can then proceed in qualification for OHI (other health impairment). I’m about to go into the ER IEP update meeting that the school determined my 6yo has a LD (Already receives ST). She is a year behind with reading and .5 years behind in math. However, they will not really change what they are doing. She brought home the new IEP for me to review/sign last night. So I only had 16 hours to review. They have TItle1 support for all K-2 with reading/math delays. It is not learning support. Just extra federal funded help. School says she will make up the year by June because she reached a benchmark. Because she is slowly improving, not caught up, they will not give her learning support. They recognize she is a visual spatial learner but not really addressing it in accommodations. I have to play the waiting game for the next six months hoping they are right. Otherwise I will have the data to prove they need more interventions or do they get to say she stays in the Federal program another year? Schools have moved away from “labels” because the research shows that many sped students actually get further behind for a variety of reasons…That is where RTI [response to intervention] was “adopted”. Pulling out of the classroom for “resources means that your child may miss “other ” work with their peers..At age 6 sometimes time is a factor…we do not walk, talk or toilet train at a specific age..